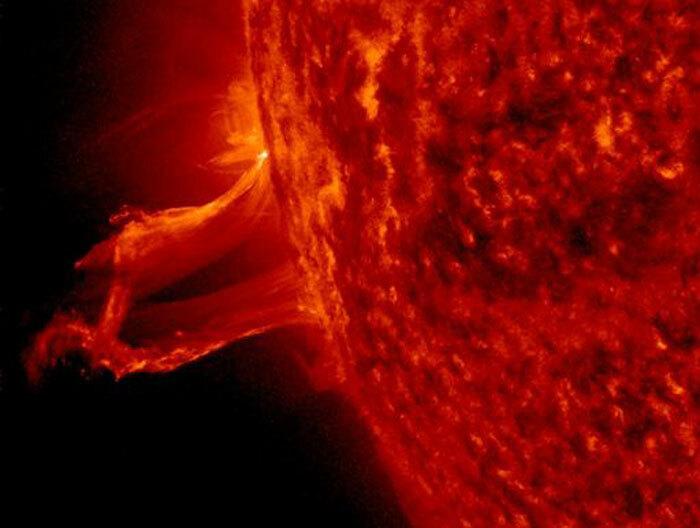 The magnetic loop shown above quickly exited SDO's field of view. It kept going ... and going... until it stretched itself out almost 700,000 km long. In East Devon, UK, amateur astronomer David Strange was monitoring the sun and witnessed the extraordinary stretch through the eyepiece of a backyard solar telecope. French astrophotographer Sylvain Weiller saw it, too. For comparison, the prominence was half the diameter of the sun and twice as long as the distance between Earth and the Moon. "It went to an unbelievable height," says Weiller.